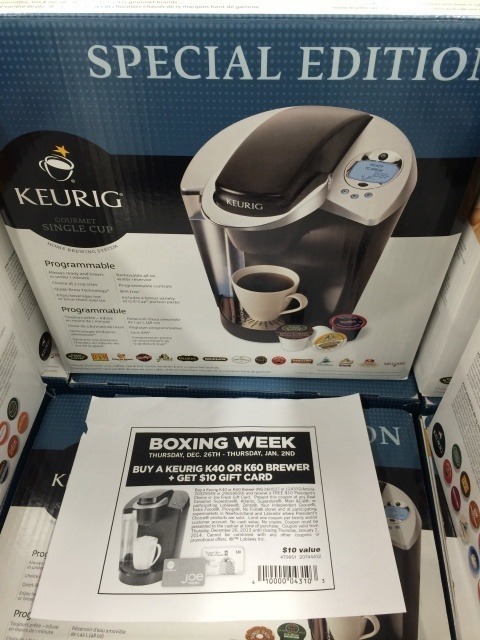 The only real difference between the Keurig K60 and the Keurig K65 is that the K60, was offered as a promotional model and is less expensive. The K65 model comes with 12 K-cup pods and a water filter kit. 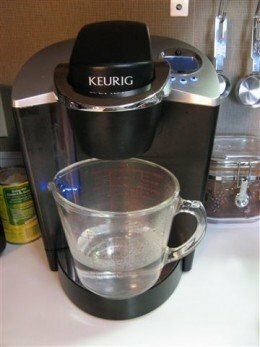 Although the value of the add-ons is not significant, having a water filter kit in your Keurig brewer can be. The Keurig K60 and K65 coffee brewers are, overall, one of the best single use coffee brewing systems available for a price of under $200. These special edition models are easy to operate, offer a programmable brew control panel for temperature and brew size options, and brew a single cup of great-tasting coffee in one minute or less. The 60oz water tank reservoir will brew approximately 8 cups of hot coffee depending on the size chosen. The Quiet Brew technology, and energy saving mode, are also significant and welcome features of the Keurig K60/65 model. Also the removable drip tray means that the coffee maker can accommodate larger cup sizes. This lightweight and compact single cup coffee brewer weighs only 12 lbs and is only 13” by 13” in size, making it easier to fit on the counters of small kitchens or offices. The biggest and best feature of the Keurig K60 and K65 is the huge selection of 250 varieties of K-cup pods offered to consumers. Specialty coffees, coffee from major coffee chains, and even specialty teas are now available. No longer does a household (or office) of coffee drinkers have to sip the same blend as everyone else. Consumers can now choose a dark roast blend as a wake-up brew in the a.m., enjoy a refreshing cup of tea in the afternoon, and relax with a smooth sweet French roast after dinner; all brewed perfectly by their Keurig K65 single cup coffee brewer. Small office staff would especially appreciate drinking a cup of coffee unflavored by previous brews. 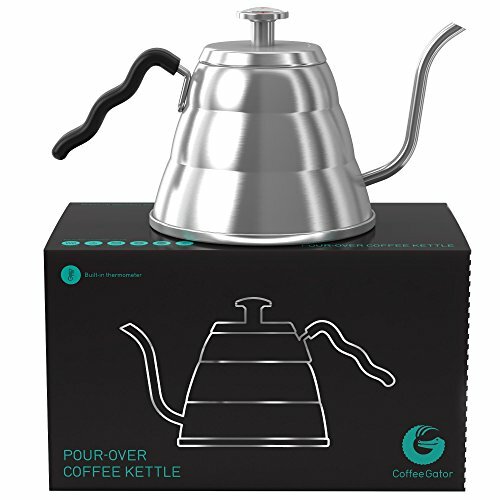 A single-cup brewing system also allows consumers to try different roasts and specialty flavors of coffee or tea. To make the brewing system even more flexible, the Keurig K60/65 also offers a K-cup filter that allows for any coffee blend to be used. 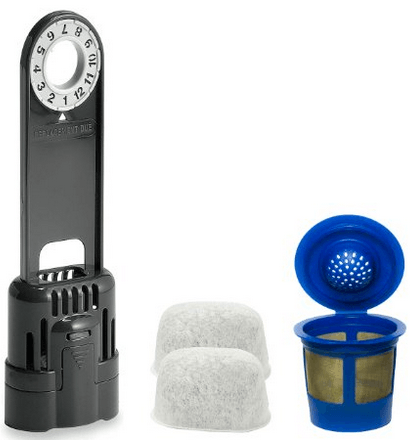 Keurig offers the owners of their coffee brewing systems some very handy accessories. A variety of holders for K-pods are not just handy, but can also look stylish and sleek on your counter top. The Keurig Universal storage drawer is strong and sturdy enough to set your Keurig K60 or K65 single-cup coffee maker on, and only costs around $12. The cost of the K-pod holders runs between $15.00 and $35.00, making them very affordable. 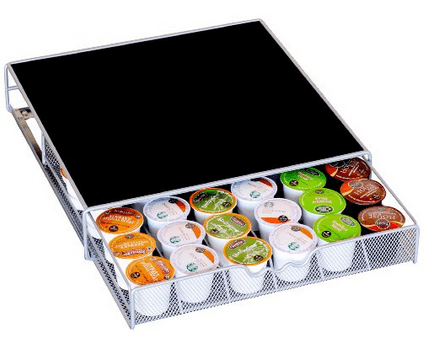 The DecoBros K-Cup Storage Drawer (pictured above), for instance, runs only about $15 and its a favorite of ours. Keurig also designed a water filter that helps the K60/65 Keurig coffee maker brew a better tasting coffee and helps avoid the problems of mineral build up that your hard water may be causing. The Keurig water filter comes with one handle and 2 water filter cartridges which is enough for 4-month supply. Additional filters (eg. replacements) can be purchase for a minimal cost – only about $15. 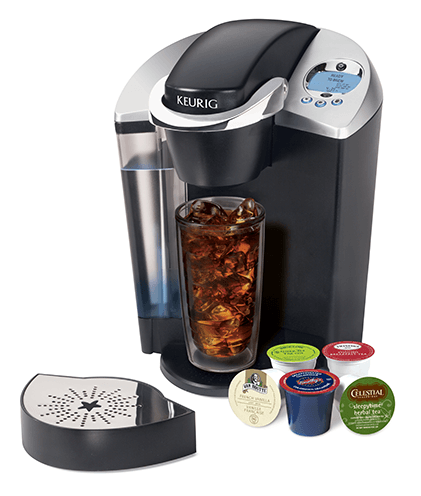 The Keurig™ Descaling Solution is the ONLY solution approved for cleaning Keurig® brewing systems. The descaling product makes keeping your machine trouble-free, easy and safe, costing only about $13. If all else fails, you can read our article, “How To Descale A Keurig“, which goes over some other methods as well on how to troubleshoot this bothersome problem. 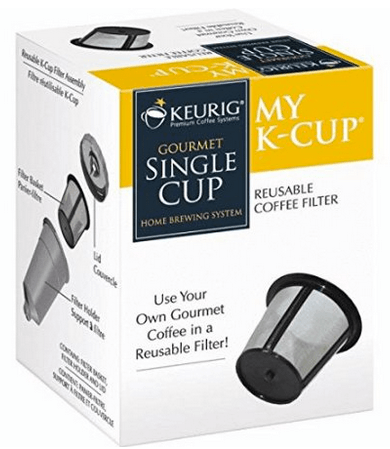 My K-Cup® reusable coffee filter accessory allows users to brew any brand or type of ground coffee they prefer and is dishwasher safe. It costs about $9 when you buy it online right now. 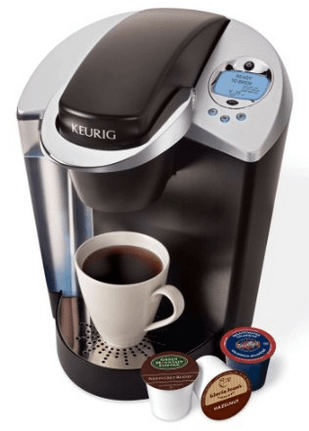 Although the Keurig K60/65 Single-cup Brewing System is appreciated for its wide variety of K-cup pods and its speed and convenience, consumers have reported some problems with their machines. Many of these difficulties can be avoided, or solved, by cleaning your Keurig coffee maker regularly, doing some simple maintenance, and being aware of the type of water you are putting into the water reservoir. 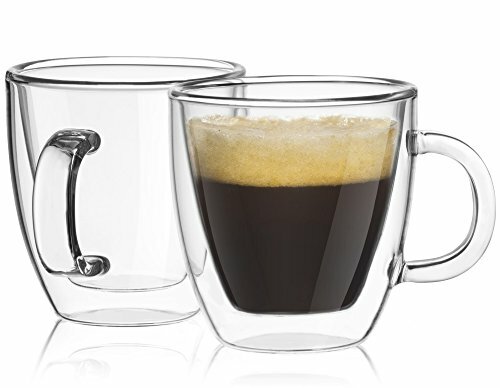 One unavoidable issue with the Keurig K60 and K65 coffee brewer is the weakness of the coffee when brewing for a larger size cup. Although the machine adjusts the amount of water to fill a larger cup, it cannot increase the same amount of ingredient in the K-cup pod which leads to a diluted brew. Some consumers also feel that the 192 degrees of heat promised by the Keurig is not hot enough for them. Filtered water is recommended as the best water for coffee to use in your Keurig Single-cup brewing system in order to ensure good tasting brews and to minimalize mineral build-up. If your water is not already filtered, using the Keurig water filter will make a difference in the quality of your beverage and reduce the amount of descaling the machine will require. Although some consumers use distilled water in their Keurig coffee maker in order to prevent scaling problems, this is not recommended for long-term use as distilled water lacks the minerals your body needs. Although it depends on the mineral content of your water, calcium deposits (or scale) will build up in your brewer sooner or later. The LCD control panel on your coffee brewer will show a descale indicator when your brewer needs to be descaled. Descaling your brewer every 3-6 months (even if there is no indicate ‘DESCALE’ show on LCD screen) will help to maintain the heating element and other internal parts that come in contact with water. As we mentioned, the Keurig De-scaling Solution is the only solution approved for cleaning Keurig brewing systems, but some consumers have had no problem using vinegar to descale their machines. It is best to follow your Keurig manual when cleaning your coffee brewer. A simple wipe down with a damp cloth for the outside and washing the dishwasher safe parts is all that is usually required for regular maintenance. I have a Keurig K60/K65, i had it for about 7 months or so, it stopped working. I am just wondering how i can get the same exact one. 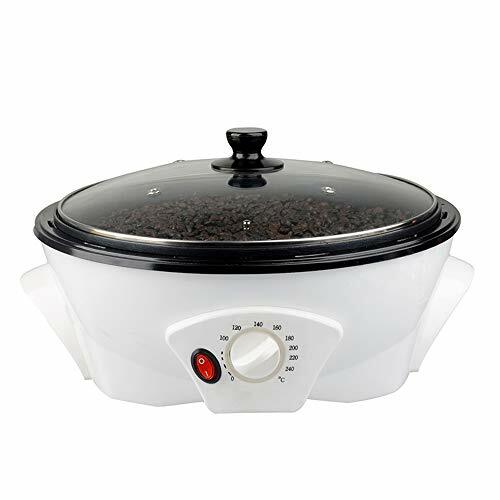 Hey Natasha, you can find the same model you had by following the link above to the product on Amazon. It’s easy to ask to be alerted when the Keurig is back in stock. Isn’t it great that you found a coffeemaker that you love?